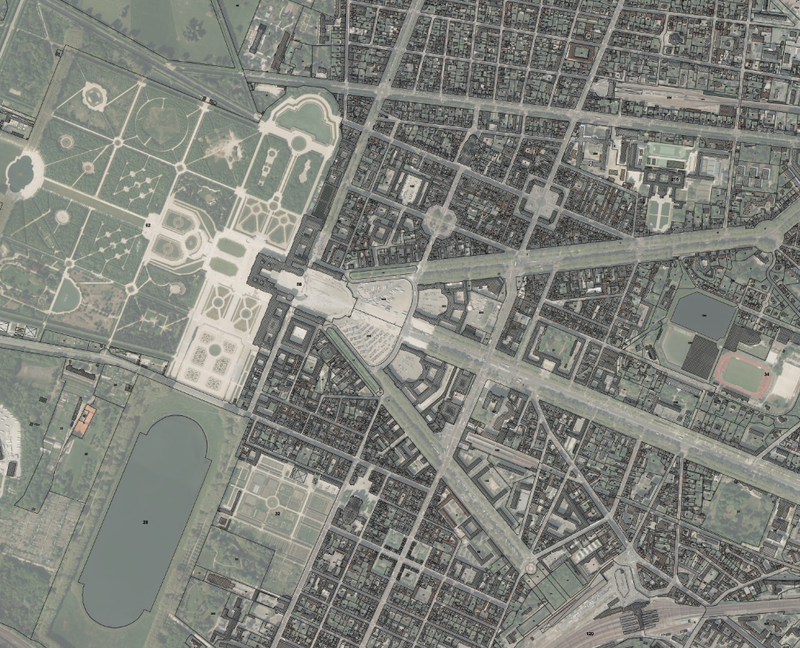 Versailles begins its urban history in 1671 as a new city created by the will of Louis XIV, around a hunting lodge, following the destruction of a precedent village. Its urban project has large baroque avenues, organized around the Palace, and is the real capital of France from 1682 until 1789. 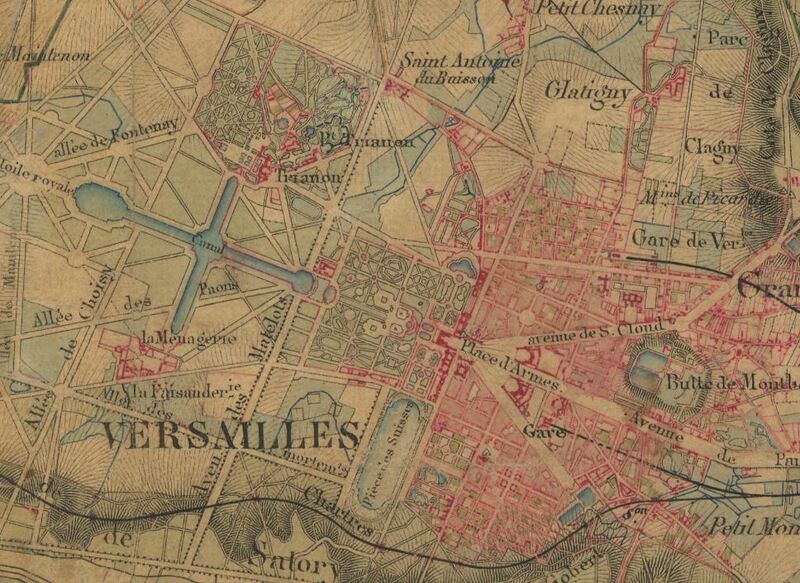 The Avenue de Paris is the main central urban axis, linking the palace to the old road to Paris, and organizing the formal composition of both the city and the gardens. The garden’s layout is conditioned by a large cross shaped pond, whose main axis extends that of the Avenue de Paris. This continuity of the axis was not visible when it was built, as the Palace is set as perpendicular to that axis. The sequence of garden plots with different sculpture groups and vegetal elements, as well as leisure spaces for the royals, is a precedent to present theme parks. The visit to the city, the palace and the gardens is really interesting.